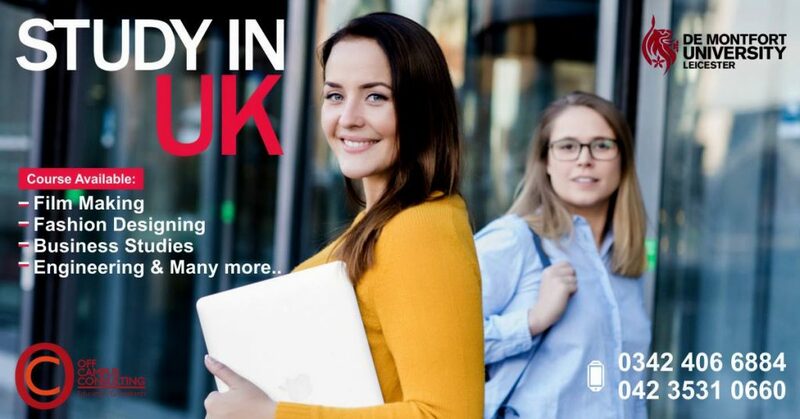 With some of the world top most universities, United Kingdom is amongst the most sought-after destinations when it comes to studying abroad. Every student dream of getting enrolled and receiving the high-quality education from the prestigious institutions there. Keeping this in mind, UK consultant in Lahore comes to rescue all such aspiring students. With a wonderful team of consultants on board, this consultancy provides all necessary guidance and help for studying in UK. The entry requirements for studying in UK are highlighted clearly by the consultancy for UK. These requirements depend heavily on the type of program or course that you are opting for. Therefore, before understanding the entry requirements, it is essential to choose your course of study. One thing that is common in all the institutions and their courses is proficiency in the English Language. UK consultant in Lahore helps the students in preparation of these tests so that they can pass them easily. Entry requirements for GCSE are dependent on the type of school that you are going to because you will normally have to register with an institution for 14 to 16 years of GCSE education. Other than the requirements of the school, the main requirements demanded by the UK exam boards is that the student should have good command over the English language since all the exams will be conducted in the English language. Study in UK consultant in Lahore guides the students in terms of getting proficiency in the English language. Similar to GCSE, requirements for A-level education depend on the type of institutions where you want to study and the requirements for A-level study there. For instance, a 6th Form College might ask you to have 5 or more GCSE grades of C or above that. On the other hand, an independent institution might ask you to have 10 or more GCSE passed grades of B or above than that. Hence, you need to check the institution with UK consultant in Lahore before checking the requirements of the study. One should also keep in mind that since A-level is a higher level of study, so a student needs to be more proficient in the English language to meet the standard of the study. A few people mention that since A-level makes you prepare for higher education so this degree is harder than other degrees. In the case of vocational courses, consultancy for UK guides the students that they do not need to have formal qualifications. The only requirements for this include proficiency in English and literacy skills. However, you must check on the type of institution for which you are applying and their particular requirements in this regard. All the courses in UK have their own entry requirements, so they differ from one another. Majority of the programs offered in UK universities ask the students that they must have passed their A-levels degree and achieved some specified grades, like 4 B grades or grades that are equal to GNVQ or BTEC. Hence, in a single institution, different courses which are varying requirements. But there are some requirements of the universities on the whole which must be met by all students. For instance, the University of Cambridge and Oxford usually require that the students should go through an interview. Other institutions do not have this criterion. 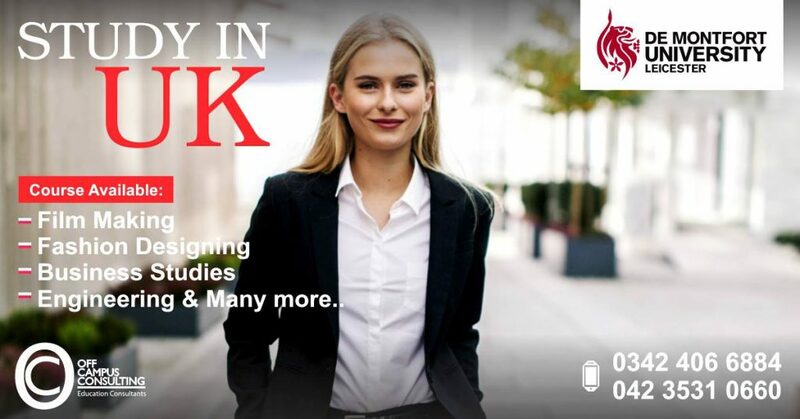 UK consultancy firm Lahore makes the student prepare for all these requirements especially the interviews. Another interesting fact is that being a foreign student, visiting UK for study purposes, you can attend university even if you do not have A-levels degree and have not studied under UK education system. However, you will have to contact the program administrator of that university in order to find out the credentials of your own country that you should provide them. UCAS or University and Colleges Admission Service is an organization in UK which accepts all applications and processes required for admission in UK universities. UK consultant in Lahore keeps a track of which course one should apply for and how to apply for it. UK study visa consultant signify some of the important things to note while applying for institutions in UK. If a student is applying for Cambridge or Oxford University then the process of application is different than other universities. Also, the dates for application differ. So, one has to contact the particular university administration directly in order to get the right information. The students are also told to get their applications as soon as possible since the popular most courses will get their seats filled quickly. Those students who were unable to get sufficient grades will have to look for other places and this procedure is known as clearing. Applications must be sent to UCAS and one has to ensure that all the necessary information is gathered before applying. ⦁ Requirements of the university like test scores etc. Study in UK consultant in Lahore ensures that all the requirements are fulfilled by the students prior to applying in the desired university.